"Enders Project" is currently in the prototyping phase. 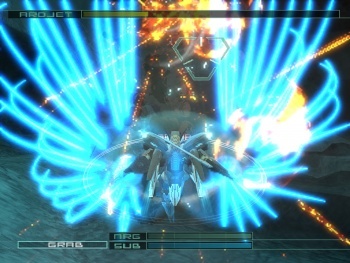 Hideo Kojima had promised fans that he will one day make Zone of the Enders 3, and had revealed that his next game would feature giant robots in some fashion. During a talk session at an event promoting the Zone of the Enders HD collection, Kojima finally made good on his word: Kojima Productions is working on a new Enders game. As reported by Famitsu (if you can read Japanese), Kojima said that the game, currently code-named "Enders Project," was in the early stages of development. The developers were building real-life 3D models of the ZOE mecha and seeing how they translated to KojiPro's FOX engine, said producer Ryosuke Toriyama. That's pretty much all we know right at the moment. For ZOE fans who have been left languishing since The 2nd Runner in 2003, though, it may be enough. Frankly, we've gone too long without a good mecha-combat game - and I mean sleek Eastern-style mecha, not those lumbering monstrosities in MechWarrior.